The new Redmi handset runs Android Oreo-based MIUI 9 out of the box and comes with all the features that you might expect out of a Xiaomi phone. Some of these features include dual apps, lite mode, and Full-Screen Display. The smartphone also handles graphically demanding games like PUBG and Injustice 2. It comes with the Second Space feature that allows you to install apps and keep pictures separately for security. The Xiaomi Redmi 6 Pro is launched in India. It sports a notched display with 5.84-inch screen size and Full HD+ resolution, with a 19:9 display ratio. The phone is powered by an octa-core Qualcomm Snapdragon 625 that is coupled with Adreno 506 GPU, 3/4 GB RAM and 32/64 GB default memory capacity. This storage can be expanded up to another 256GB with the help of a microSD card. In terms of optics, the handset houses dual rear cameras of 12MP + 5MP. The rear camera comes with 1080p@30fps, Geo Tagging, HDR. It also has an AI portrait mode feature and electronic image stabilization. Up front, the camera houses 5MP. Connectivity aspects on board the Redmi 6 Pro include Wi-Fi 802.11 b/g/n, hotspot, v5.0, microUSB v2.0, with A-GPS, GLONASS, and hybrid dual sim. It packs a non-removable Li-Ion 4000 mah battery and runs Android 8.1(Oreo) out of the box. Sensors include fingerprint, an accelerometer, proximity, and compass. It also features face unlock and has the camera with AI featured. The unit is available in Red, Gold, Black, and Blue colors. 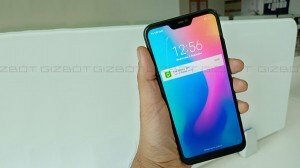 The Xiaomi Redmi 6 Pro price starts at Rs. 10,999 for 3GB/32GB and Rs. 12,999 for 4GB/64GB variants. Xiaomi is now offering a limited period discount on the Redmi 6 Pro via Flipkart Mobiles Bonanza Sale. How to grab the phone with Rs 13,800 discount.